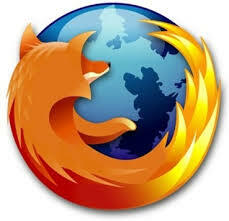 My Internet browser of choice continues to be Firefox. I've recently been using Twitter almost every night and it's so great to have some add-ons that make Twitter much easier to use. In particular, I have the bit.ly browser sidebar link in my toolbar. I also use the Power Twitter add-on. Xmarks lets me keep all my favorite bookmarks in sync with all my different computers. Grab and Drag is a great add-on if you use a Tablet PC.